Chris O'Rilaey has released a new kit for MODO with an impressive collection of Bottle assets. 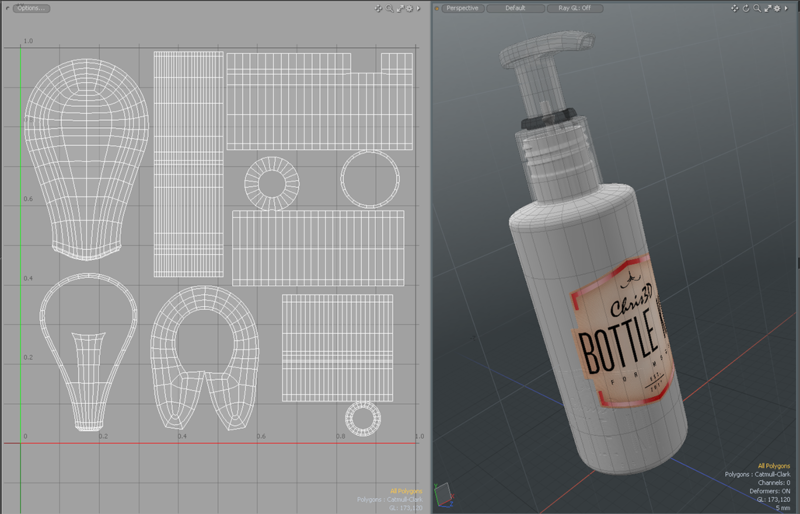 The Bottle Kit for MODO is a collection of 40 high-quality assets that are ready to be dropped into your scene. The meshes are all quad, Catmul-Clarke Subdivision Surfaces making them resolution independent and ideal for easy customization. An emphasis has been placed on efficient geometry and clean topology. 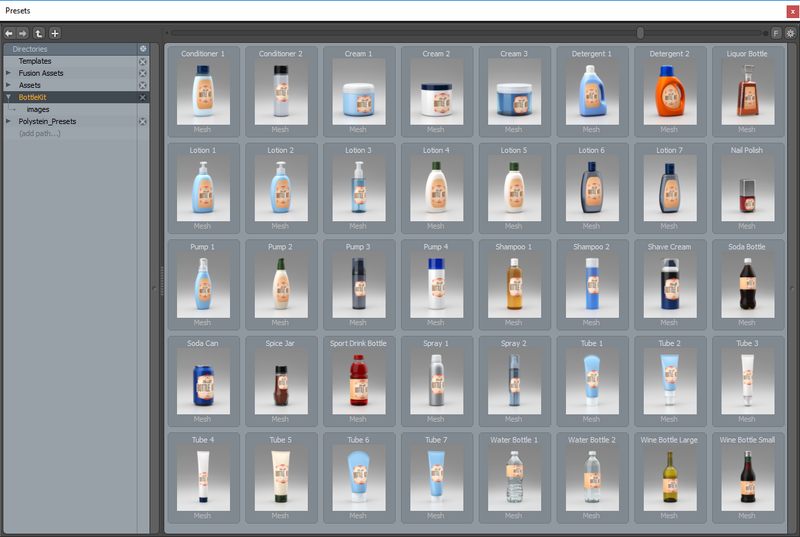 Each asset is fully UV mapped, has photo-realistic materials and a placeholder label applied, ready to be swapped with your custom label design. Each bottle also includes a liquid mesh item, letting transparent bottles appear full. Bottles with screw-on caps have matching and properly mating internal and external threads, allowing transparent and translucent materials to show realistic details in your renders. If you're looking for some set dressing for your architectural visualization renders, props for your characters, or simply a subject to practice lighting and surfacing with, this kit includes bottles ideal for most any setting. The Bottle Kit for Modo includes both item presets as well as all models in a render scene with a base lighting setup to produce the sample images.